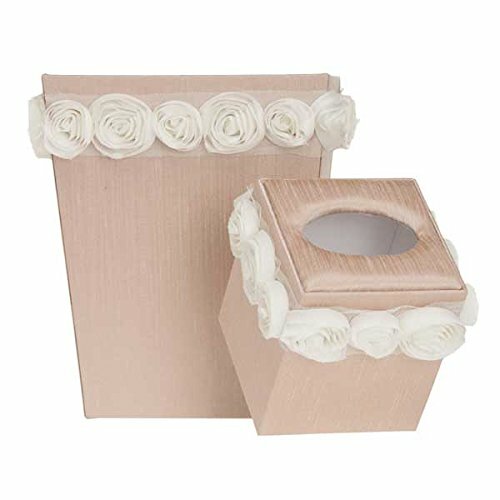 Decorative tissue box cover and coordinating wastebasket beautifully complement bedding in baby's nursery or toddler's room. Made using same petal pink fabric over a cardboard form and trimmed with dimensional chiffon rosettes. Square wastebasket measures 9x9x11. Tissue cover measures 5x5x6. Spot clean.